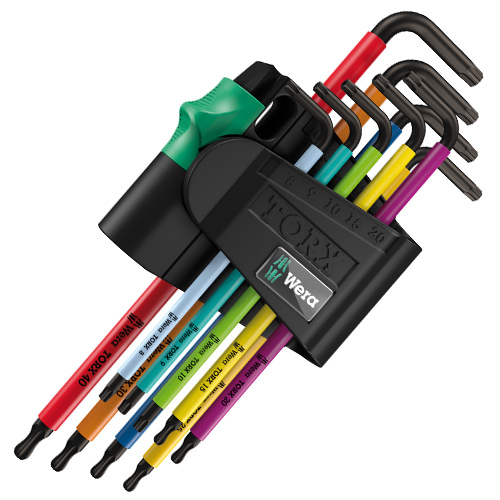 WERA 073599 Multicolour Torx Key 9 Piece Set. 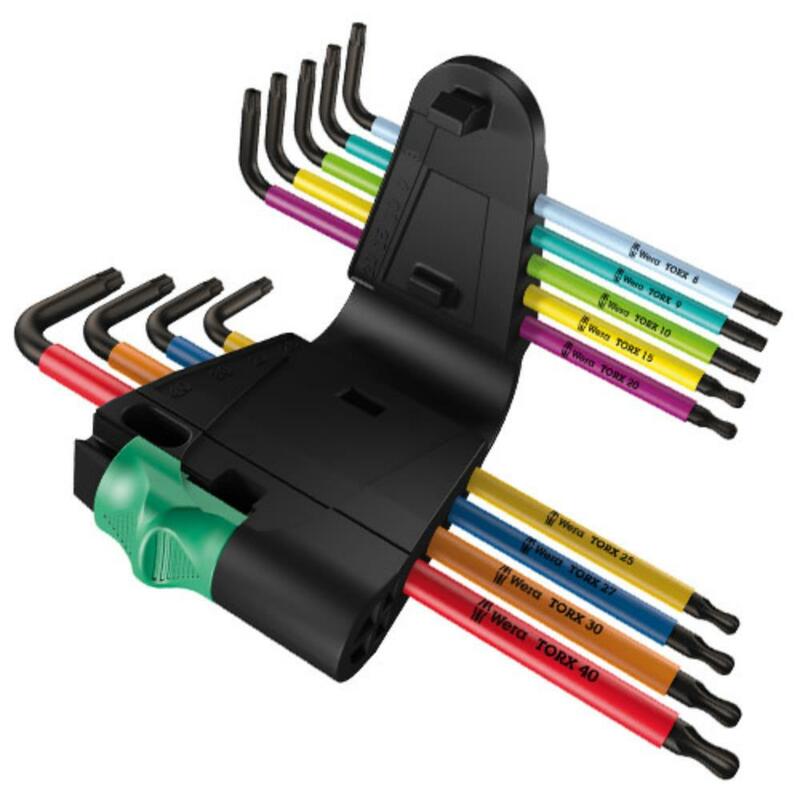 9 Piece Torx socket set in a two-component clip with magnetising device for Torx screws with Torx pin on short shaft and Torx ball tip on the long shaft enabling screwdriving jobs at slightly inclined angles. 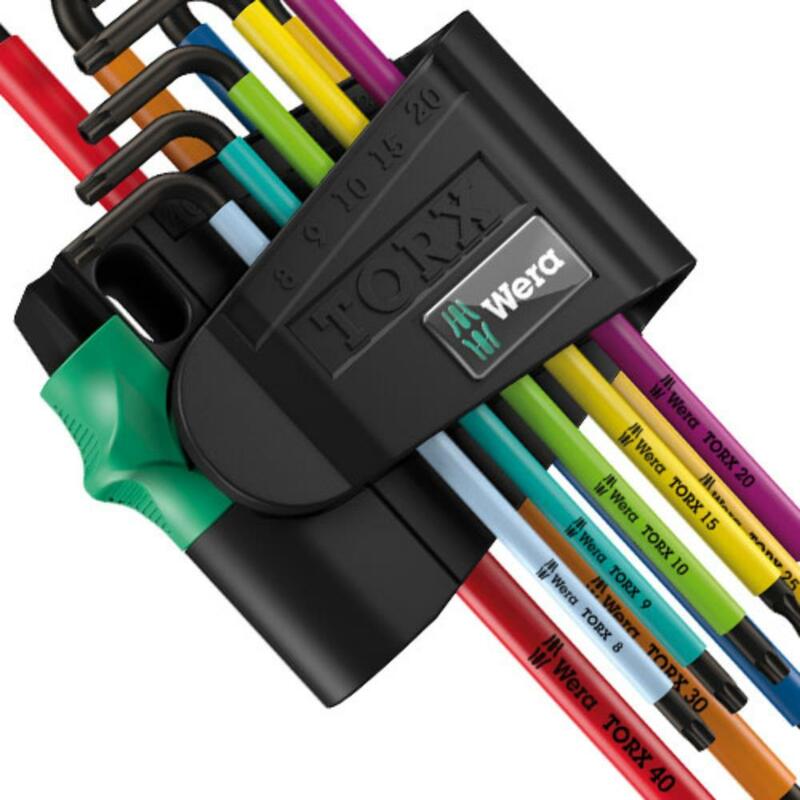 These plastic sleeved L-Keys are manufactured from an easy-to-grip circular material for convenient, safe working even at low temperatures. 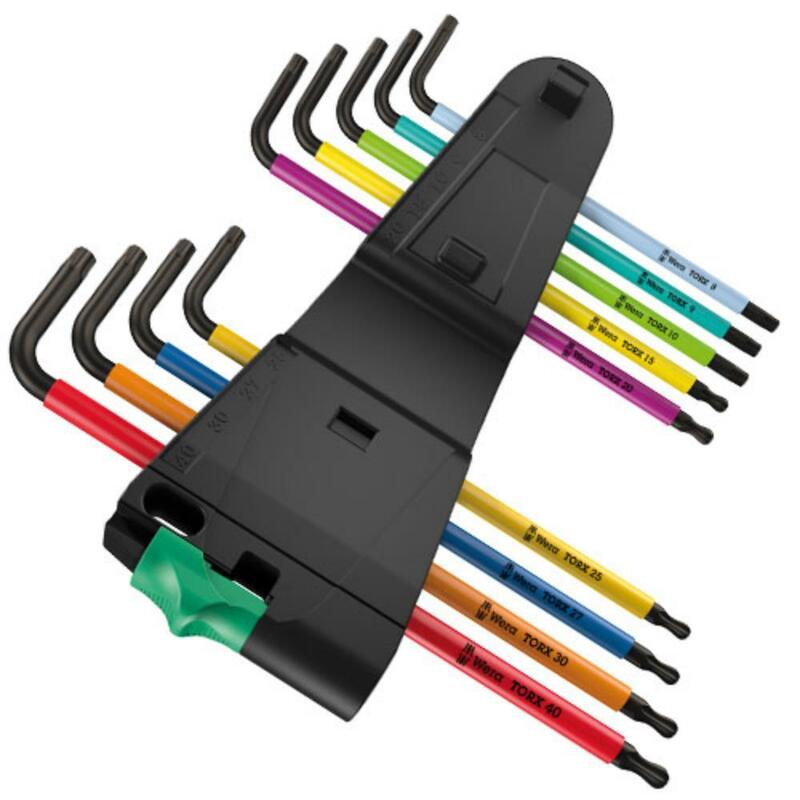 All L-Keys are colour coded & size marked for easy identification, quick to hand. The water-resistant clip material ensures the keys are securely held but still easy to remove. Set includes: 1 x TX 8x76, 1 x TX 9x79, 1 x TX 10x85, 1 x TX 15x90, 1 x TX 20x96, 1 x TX 25x104, 1 x TX 27x112, 1 x TX 30x122; 1 x TX 40x132.